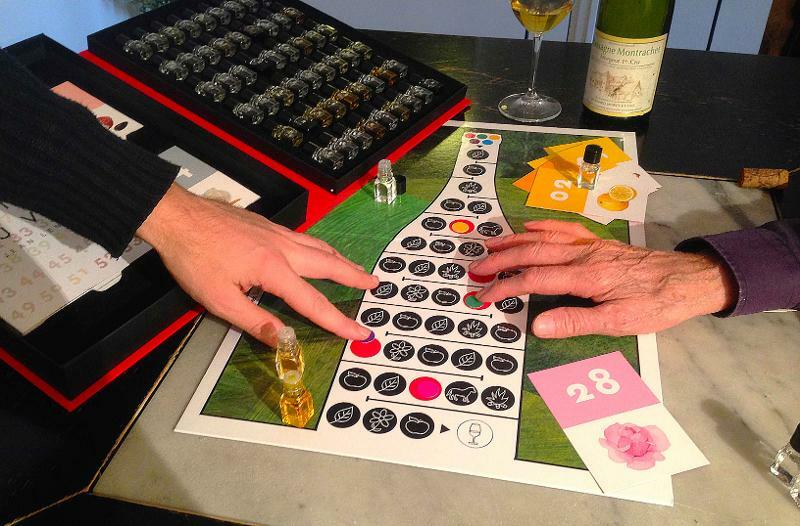 Le Nez du Vin now has its own board game - in fact it is two games on one board! The Aroma Race and The Wine Route challenge players’ ability to identify and memorise aromas and match them with the wines of Australia and the world. The game board provides a playful and educational complement to the book and the aroma collection of the 54 Aroma Masterkit*. This game is for all wine lovers, whether connoisseurs or novice, to play with friends and family. The two levels of difficulty allow you to make rapid progress, educate your nose and enrich your olfactory memorYy, as you have fun. * N.B. You need to have the 54 Aroma Masterkit in order to play. Cardboard board, size 515 x 345 mm, weight 350 g.